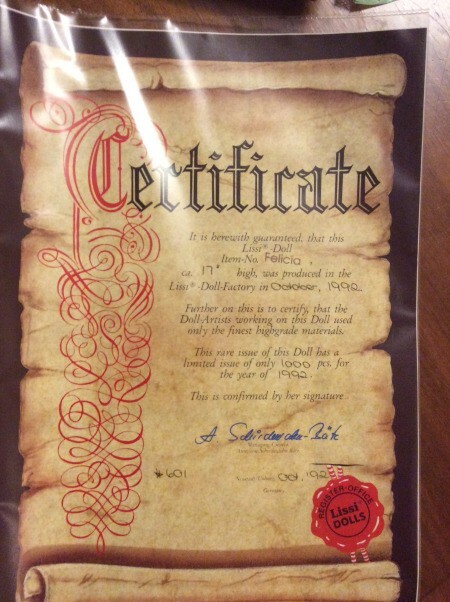 I recently bought a pre-owned Lissi vinyl doll still in the box. However when I brought it home I realized that it had a heavy cigarette odor. I have been airing it out for days, but the cigarette odor still clings to the clothes and hair. Is there a way to clean the doll without damaging it? 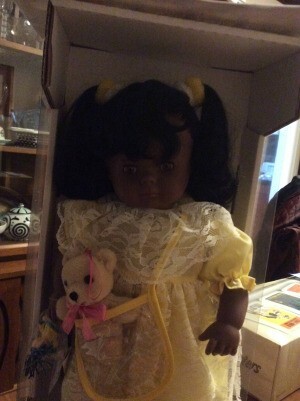 The stand seems to be attached the to the box and the doll's clothes are fastened over the stand so to take her out I think I would have to mess up her or the box. I would really like to clean the nicotine residue off of her. Is there a way to clean her without taking her out of the box? Or in terms of her value does it make sense to just remove her from the box anyway to clean her? You can try crumpled newspaper or charcoal. It may take a while to get rid of the smell.